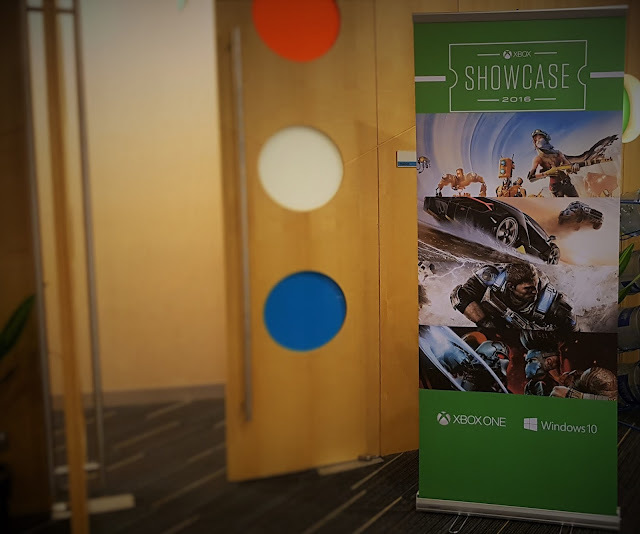 Xbox Showcase 2016: Gaming time! [EVENT] Gaming! Long time no see! 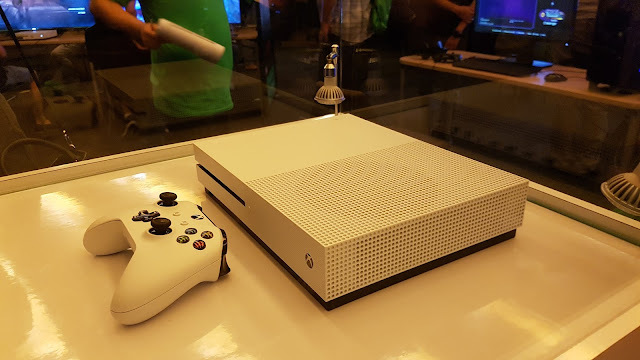 I was extremely excited and privileged to be at Xbox Showcase 2016 a week ago after a long prolong absence from console gaming after my Playstation 3 broke. And boy, I indeed have lots to report! First off, an original white Xbox One S was placed right in the middle of the Microsoft Auditorium. I saw images of it online sometime back but seeing it in person stirs the gaming soul in me. Moments later at the event, the first custom-designed Xbox One S bundle ever: Gears of War 4 Limited Edition 2TB Bundle made it's appearance! Priced at S$699, the Xbox One S Gears of War 4 Limited Edition 2TB Bundle includes a battle-weathered custom Xbox One S console with a 2TB hard drive, an all-new Gears of War 4 Crimson Omen Limited Edition Xbox Wireless Controller, full game download of Gears of War 4: Ultimate Edition for both Xbox One and Windows 10, a Gears of War 4 Season Pass and eight additional Gear Packs. In between the showcase of the newly unveiled consoles was 2 hours of hell fun gaming that reminded me just how much I missed gaming. Microsoft put some of their best and most popular games up for the participants. For our fun, there are Dead Rising 4, Forza Horizon 3, Gears of War 4, NBA2k17... Damn, I am so going to get a gaming console this year... or not, popular Xbox games are also available on Windows 10! At the event, Microsoft also revealed details of the grand prize – an unforgettable trip of a lifetime to Sydney, Australia to participate in an epic week of Xbox activities! The week includes the adrenalin-pumping Forza Horizon 3 launch event, a Gears of War experience at Sydney’s iconic Bondi Beach, first-to-play games with developers from Playground Games, The Coalition and more, as well as opportunities to take in the amazing sights and sounds of Sydney, Australia. 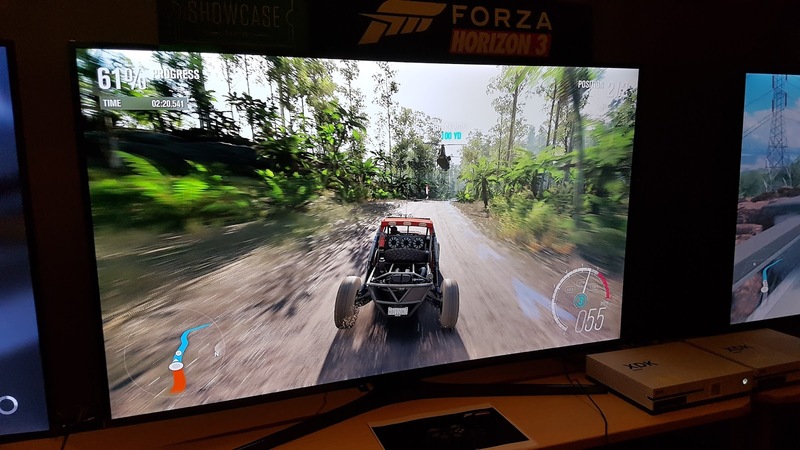 Fans and gamers simply have to watch and take note of the contest question posed during the live stream at the event on 2 September and submit their response via the Xbox Singapore Facebook page by 12 September, in order to stand a chance to win the grand prize.